Tax identity theft may seem like a problem only for individuals. But increasingly businesses are becoming victims. 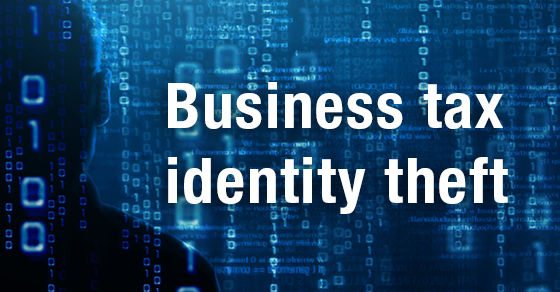 Business tax identity theft occurs when a criminal uses information from a business (such as the Employer Identification Number) to obtain tax benefits or enable individual tax identity theft schemes. Here are some prevention tips: 1) Educate employees on how to spot tax fraud schemes. 2) Use secure methods to send W-2 forms to employees. 3) Implement risk management strategies designed to flag suspicious communications. Contact us to learn more.